Kierkegaard apparently did his best writing standing up, as did Charles Dickens, Winston Churchill, Vladimir Nabokov and Virginia Woolf. Also put Ernest Hemingway in the standing desk club too. 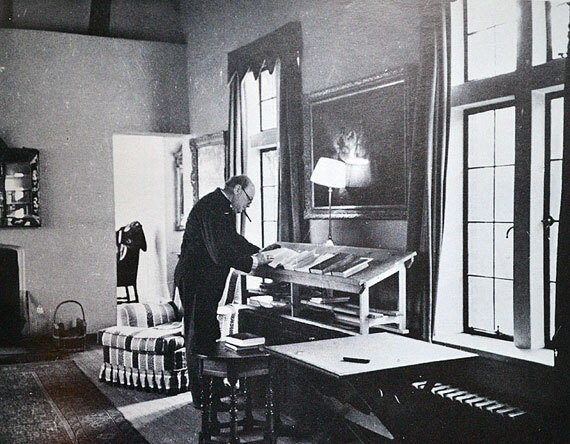 Popular Science, a magazine with roots much older than the Paris Review, first began writing about the virtues of standing desks for writers back in 1883. By 1967, they were explaining how to fashion a desk with simple supplies instead of forking over $800 for a commercial model -- a hefty sum in the 60s, let alone now. Plywood, saw, hammer, nails, glue, varnish -- that's all you need to build a DIY stand-up desk. Or, as Papa Hemingway did, you could simply throw your writing machine on the nearest bookcase and get going. As for how to write the great American novel, I'm not sure that Popular Science offers much help. But maybe some advice from Hemingway himself will steer you in the right direction. See Seven Tips From Ernest Hemingway on How to Write Fiction. For more on the benefits of the standing desk, see this post from the Harvard Business Review. We could also join the Portuguese poet Fernando Pessoa to the club. Here I leave a link to the photo of the high chest of drawers where he used to write, standing as he preferred. Donald Rumsfeld. So they can be used for evil, too. And Thomas Wolfe, who had the same editor. Philip Roth, too, I believe. ok… I’m standing on my desk…nnn…but nothing’s happening?? I thought that I had personally invented this strange way of authoring. However, it was through forced circumstance, being forced to write in many strange places, cramped and pestered by people and things, the nearest bureau would be forced into service while I diligently exercised cramped leg muscles from my usual thousands of miles of air travel, in order to mitigate the possibility of blood clots in the legs. Perhaps this is what drove him to suicide!? 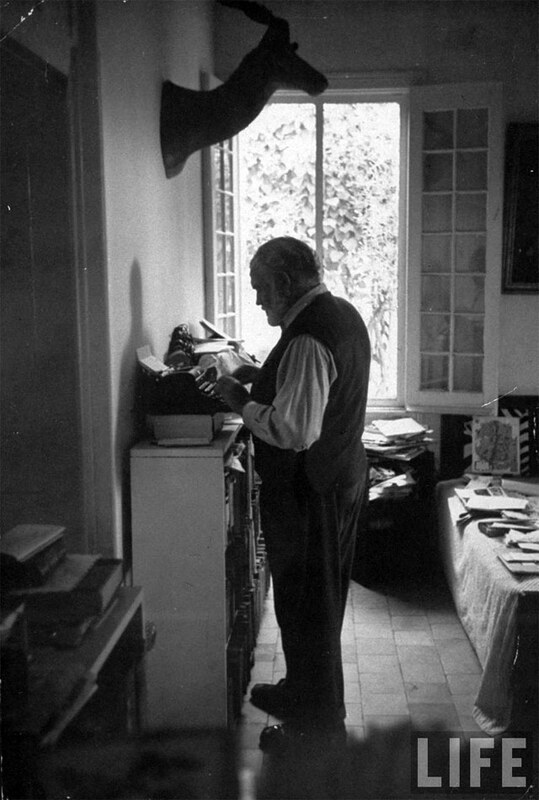 Open Culture, you could much improve this image of Hemingway by using Photoshop or other photo software to brighten it, which will bring out details now too dark to distinguish – very simple. Which I did before printing out to hang on wall in front of me at standing up desk. Rilke too – in case he wasn’t mentioned.